This entry was posted on 2015/10/15 by Robin. It was filed under Birds and was tagged with Aldergrove, Backyard, Sparrow, White-crowned Sparrow. 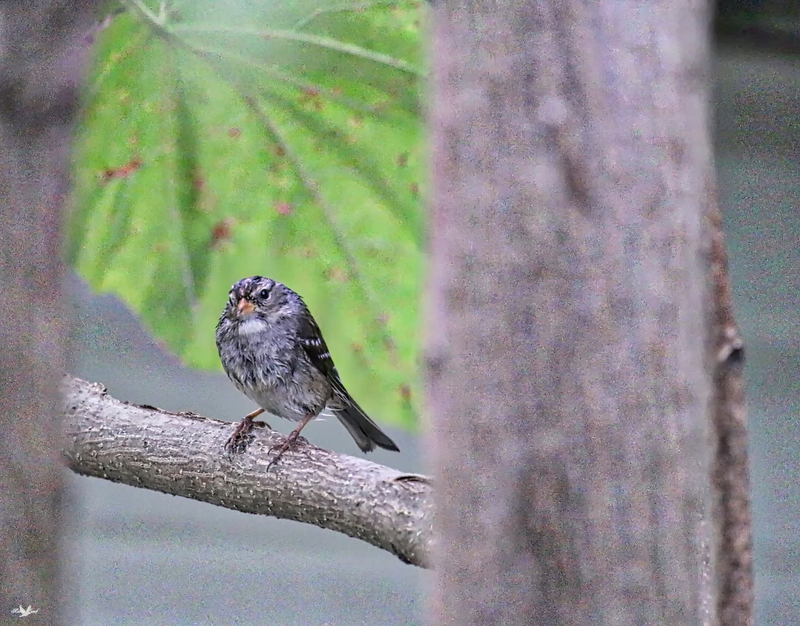 I haven’t heard ‘forlorn’ for a long long years, lovely White Crown Sparrow image. Bob, it seemed to fit this guy! Thank you! Robbie, I thought that too, and wet! But it was a dry day! Maybe he had a bath somewhere!